Teach your family & friends about pollinators & their importance in our world. When you plant anything in your yard consider the idea of helping to pollinate the world around you. Their ecoregional planting guides, Selecting Plants for Pollinators, are tailored to specific areas of the United States. You can find out which ecoregion you live in and get your free guide by entering your zip code. 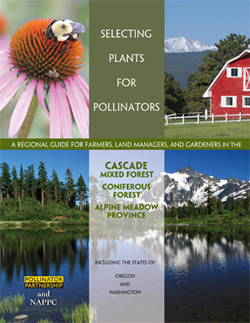 Click the link below to go to the Pollinator Partnership website to check out all of the planting guides.